USA Today Bestselling Author J.L. 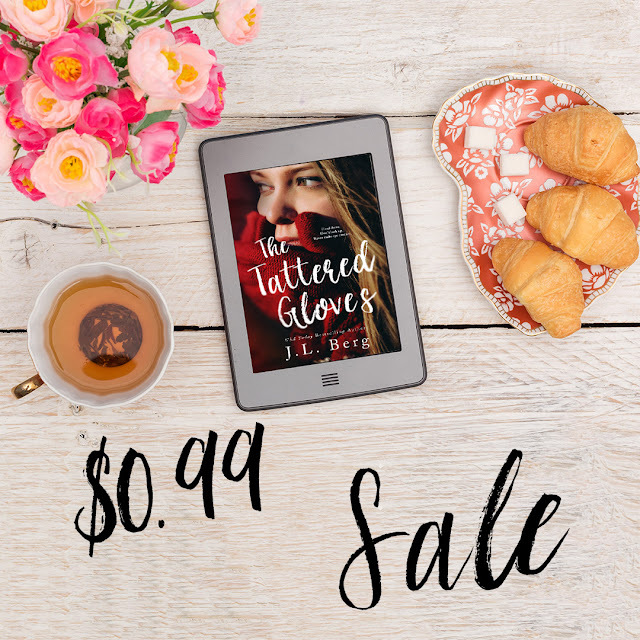 Berg's first YA title, THE TATTERED GLOVES, is on sale now for just .99c for a very limited time! Make sure to grab it now at this price! Head down. Don’t look up. Never make eye contact. Those were the words I lived by growing up, the words that protected me in an unsafe home. But words are only letters and eventually even they couldn’t keep his hands off me. Hoping to leave behind the shattered life of my past, I find myself in a boring, small town, with an aunt I’ve never met and at a school I loathe. But soon I learn, not everything in this world is as black and white as I’ve determined. Sometimes those we are so quick to judge often need a second, third or even fourth time to make a first impression. And often, there are friendships and even love waiting just around the corner, if we are brave enough to take the first step. Am I brave? Or will I hide behind these tattered gloves of mine forever? 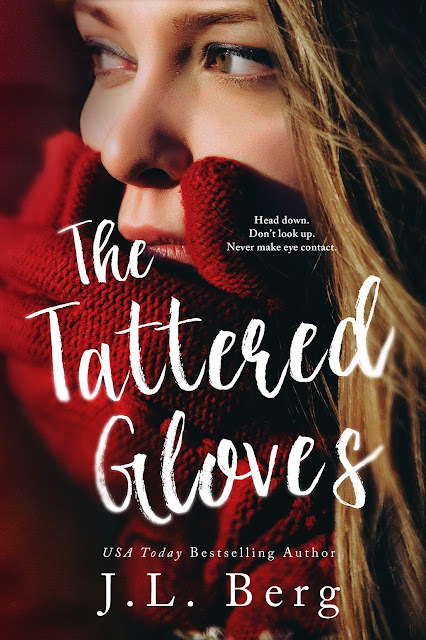 Add THE TATTERED GLOVES to your to be read shelf on Goodreads! My normally quiet nature seemed to take a backseat when it came to this guy. He made me angry, flustered, and… something else I couldn’t put my finger on. Annoyed maybe? No, that wasn’t it. “What is your problem?” I blurted out, chasing behind him. “My problem?” he asked, spinning around to face me. Suddenly, he was too close. I could feel his breath on my face, his presence looming over me. I took a step back. He seemed to notice the unease settle around me, and a bit of the edge he carried chipped away. His next words were said with a slightly softer quality. “Look, maybe we got off on the wrong foot. I didn’t mean to sound so harsh, but if the store doesn’t do well, it’s on me. My dad thinks it’s a waste of time.” “And you don’t?” I didn’t know what a rich, popular kid wanted with an old bookstore, but I kept my mouth shut. He shrugged. “We have nothing in this crummy town, not even a movie theater. Last month, I wanted to see the new Marvel movie, and my friends and I had to drive thirty minutes away just to see it.” “Haven’t you ever heard of Netflix?” I asked. “It’s not the same as seeing it on the big screen.” “I wouldn’t know,” I replied. “What?” He grinned. “You’ve never been to a movie?” The way he said it was meant as a joke, but all laughter died when I shook my head. “Seriously?” “I mean, I’ve watched several on TV but never at a theater,” I answered, not able to meet his stare. “I thought you were from the city.” My eyes flew up to his. “Oh, so you really did think you were invisible. That doesn’t work around here, Mittens.” My brows furrowed as I tried to figure out what he meant until he pointed to my gloves. Mittens. Cute. “My name is Willow,” I corrected. Sam just kept smiling. “Word of advice, Mittens. The less you try to be invisible, the less interested people will be.” I let out a heavy sigh, snatching the remainder of the books from the counter. As he’d reminded me earlier, I wasn’t being paid to mess around. And I sure as hell didn’t need life lessons from an over privileged daddy’s boy. I hated this place. J.L. Berg is the USA Today bestselling author of the Ready Series, The Walls Duet, and the Lost & Found Duet. She is a California native living in the beautiful state of historic Virginia. Married to her high school sweetheart, they have two beautiful girls that drive them batty on a daily basis. When she's not writing, you will find her with her nose stuck in a romance novel, in a yoga studio or devouring anything chocolate. J.L. 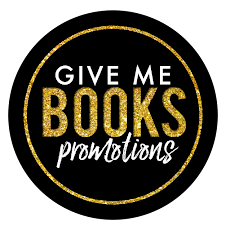 Berg is represented by Jill Marsal of Marsal Lyon Literary Agency, LLC.